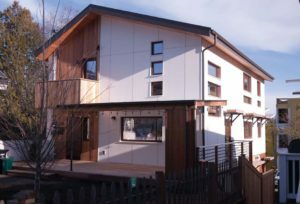 If you think you can’t afford to build a sustainable, net-zero home in greater Seattle, we encourage you to read on. 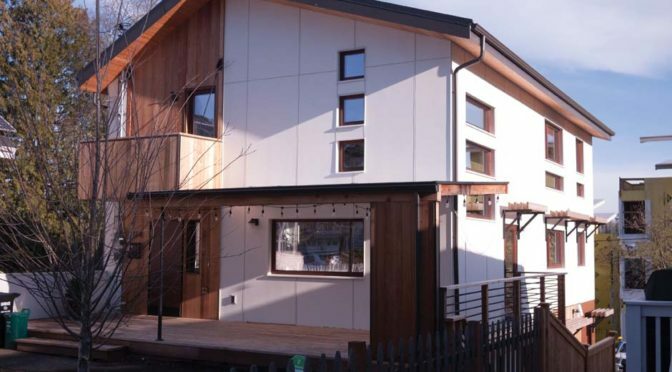 “I still talk to people who don’t even know it’s possible to build a net-zero home for the same price as a conventional home,” says Ted Clifton, designer, builder and owner at TC Legend. Clifton is quoted in an article, posted by Juliet Grable in Green Builder Media, announcing that his company constructed the home that is a recipient of the 10th Annual Green Home of the Year Award. RainBank is excited to be part of this project, which used RainBank’s rainwater collection system design consisting of four 2,500-gallon cisterns located below the first-floor deck, for a total storage capacity of 10,000 gallons. The system supplies all of the water used in the three-story home, including irrigation. RainBank Rainwater Systems is the leading, go-to company for green building architects and construction firms that seek modern rainwater collection systems, designs and builds. A rainwater collection systems designer and consultant, Ken has designed and installed residential and commercial systems, primarily in the northwest United States for more than 10 years and, in 2014, began consulting and managing builds in other states. Ken is an accredited ARCSA Professional Designer / Installer and Life Member, the Northwest Regional ARCSA representative and advisor to its education committee and is available to speak about Rainwater Collection Systems design and builds. Ken is a United States Navy veteran, having served on active duty during the Vietnam War era. He attained the rate of E-4 Machinist Mate. A career entrepreneur, Ken created a new business focus with a commercial dive company in Hawaii in the mid 1980′s to respond to and clean up oil spills, oil spill equipment training, service and maintenance for the oil co-op service industry. Ken is passionate about having a positive impact on the environment and is also a founding director of BANK-ON-RAIN (2011-2014), whose mission is to create grassroots solutions for rainwater collection for consumption and agriculture in developing areas of the planet. RainBank wishes you all a happy Independence Day. The post Happy Independence Day appeared first on RainBank.